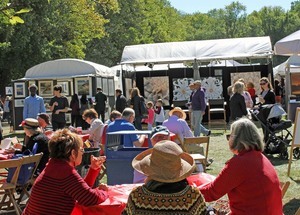 Ranked one of “The Top 50” Fine Art and Fine Craft Fairs in the US by Art Fair SourceBook and among the top “Fine Art and Design Shows” in the New York Metro Area by Sunshine Artist Magazine, the 56th annual Armonk Outdoor Art Show will continue its long tradition of showcasing fresh and diverse art. Over 185 juried artists from 29 states, Israel and Canada, will be featured, with 35 new artists added to the show this year. 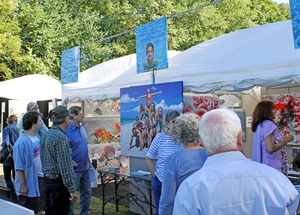 A broad spectrum of art in every medium and price point will be on display, including painting, mixed mediums, printmaking/drawing/pastels, sculpture, photography/digital art, wearable art, and fine crafts. Free personal consultants, trained in fine art and home design, are available to assist visitors in selecting art that best fits their taste and decor. 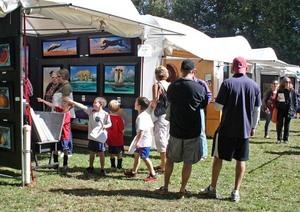 New This Year: More Activities, Food and Drink - All as Fresh as the Art! First Five – Hands on projects, appropriate for children ages 1-5 with adult participation. The Neuberger Museum of Art – A creative exploration and experimentation inspired by the works in the Neuberger Museum’s permanent collection. Fun for children of all ages. Food, Craft Beer and Wine – Diverse vendors with new additions including Luke’s Lobster, Captain Lawrence Brewing and Market North. Gold Sponsors: Equinox, Houlihan Lawrence, Northern Westchester Hospital, Rosen & Company, Inc., White Plains Hospital Medical & Wellness will entertain and inform. Download a coupon for attendance to the Art Show here. 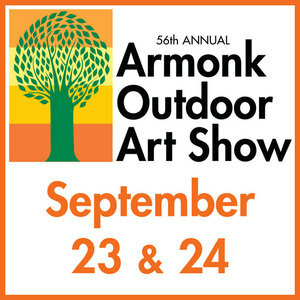 Learn more about The Armonk Outdoor Art Show here.